All Michigan vital records may be ordered in person at the State of Michigan Vital Records office, by mail, or by phone, fax, or online (debit or credit card) at VitalChek. Many records are also available from the County Clerk in the county where the event occurred. See courts.mi.gov for a list of Michigan county clerks. Payment in person and by mail may be made by cash or by personal check or money order payable to State of Michigan. 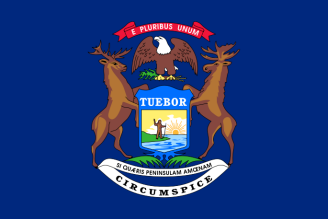 Michigan birth records and Michigan death records that were filed with the state since 1867 are available to a person named on the record, that person's legal guardian or representative, or an heir if the person is deceased for a fee and with proper photo identification. Some of the records (especially pre-1906 births) were not filed with the state. Note: Any Michigan vital record can be "verified" for a fee of $10.00. Verification is only a yes-no that record exists. Application for records can be downloaded from the website. Record Access Requirements: Certified copies of birth records are only issued to the individual to whom the record pertains, the parent(s) named on the record, an heir, legal guardian or legal rep. of an eligible person, or through court order, unless record is 110 years old. Search Note: The signature and relationship to the subject are required items on the request form. Also include copy of photo ID. Record Access Requirements: Records are open to the public.